I need to make a set of barrel vise jaws for 0.750" AR barrels, and have a length of 3/4" thick aluminum bar to use....I just need to figure out a way to cut a 0.375" half-moon in each side. I don't have access to a milling machine tonight, best bet I have is a router and decent sized drill press. Here's my idea, cut two pieces of stock 3" long, clamp together in drill press vise, and attempt to drill a 3/4" hole down the split where the two pieces are clamped/joined together, starting with a 1/8" or so pilot hole. Any chance this will work, and the bit will "follow" the split, or is it completely dependent on how square my press and vise are set up? Use a jobber length bit and it shouldn't walk. What kind of tolerances are we talking about? During the Middle Ages, probably one of the biggest mistakes was not putting on your armor because you were "just going down to the corner." Just good enough to clamp an AR barrel and index stubborn flash hiders (that are just close enough to not need shims). For that I'd think you're fine. Think I can get it delivered tonight? I don't know if you'll be able to keep a 1/8th drill from crawling across the joint, but if you can get that hole through okay, the full size hole will be a piece of cake. I wonder if a light kerf scored in each piece would help keep the drill bit on track. I don't think it will work, but it sounds exactly like something I would try to do. Good luck. I have used an old belt wrapped around a barrel (any thick leather) and slapped it in a vise before to do a muzzle device. Just hit it with a punch first. You sure your drill press is good for a 3/4" drill in AL? I've done 5/8" with a 1/4" pilot hole and that was an experience. Since you really need this hole to stay straight, my thought would be start with a stout center-drill or spot drill. Follow up with maybe a 1/4 or 3/8" through, or as deep as you can. Take your time, keep chips cleared to get as straight a hole as you can. Finally follow-up with the 3/4" drill. The pilot hole should only be as wide as needed to clear away the material at the point of the larger drill. If you can keep some bevel from the center/spot drill that will help the larger drill stay centered at the critical start of the drilling process. Jobber drills are freaking noodles if you really watch them. Getting it started straight is most of the battle. ETA: And WD-40, lots of it. I always use a rag or leather around the barrel, but I would think you could make one from wood easier with what you have. I don't have any hard enough wood, already tried. The wood I have splits with any kind of pressure from the vise, aluminum should stay together...plus, I really want to try making my own set out of aluminum. Drill presses and bits aren't the problem, just making sure everything stays straight is the real issue. Worst case, I can use my mag drill and clamp the aluminum blocks to the top of the bench...it should be a little more rigid. Do you have access to a table saw? You could cut a shallow saw kerf in both pieces then line up the kerfs together for a nice straight pilot hole. If not, how small of a straight cut bit do you have for the router table? Could do the same thing with it. Aluminum mills just fine with any carbide tipped bits or blades you have. Edit: The more I think about it you could enlarge the grooves until the are just small enough that your 3/4 bit will hog out a circle. Bit should follow that no problem and it would be nice and straight. Then use the best, stiffest spot-drill you can to start the hole and go for it. Just pilot something through to clear out the center. That big drill point is your enemy when shooting for a straight hole. I think I'd mark the hole, mark a center line for the piece, then drill the hole before cutting the pieces, then you have the kerf (thickness) of the blade for allowing pressure onto the barrel when clamping. Put fence on router and set it so the bit falls dead center of the stock. Using the smallest bit you have (preferably carbide down cutting bit) route each piece in both directions to form a roughly 1/4" wide by 1/8" groove in each piece (assuming a 1/4" bit). Clamp together and drill. With the setup you've got you need to flatten the surfaces in unison so there is no channel for the drill to follow. Belt sander? File and spare time? Bolt the halves together, center up, be done. ETA- use a fresh drill, regardless of size for the pilot. Fresh drills have even grinds and will cut straighter, use one of suitable size. I've always just use a 2"xsomething, unmolested, just the flat pieces. The wood will slightly indent and has held tight. If you need something super quick, do something similar but with a couple pieces of 2x4. Cut them after you drill. Even if the cut wanders the two will still fit back together one way. I have a vise you can use in my garage. Some things are better to be done with the right tool. What possible reason would you have to do this tonight vs getting the correct tool for the job. the ZA aint happening tomorrow and Hillary has several month until her coronation. if youve got 2x4 and its too brittle... try cutting a small say 4" long square of it. adding a V shaped notch with chisels 90degrees to the grain if you really need traction. But keeping its grain 90deg to the barrel should help with splitting. Also. Drilling with a 3/4 bit might yield a slightly oversize hole. Too easy. Must find challenges. He said he had 3/4" bar to use and that he needs a .750" hole which would be a zero material condition. EDIT- How are some people insisting he put a .750" hole in 3/4" bar? I didn't get a harumph outta that guy!! Get a small piece of type L copper pipe, cut it, put around barrel, clamp barrel in vice, tighten/loosen whatever. Better be setup straight, but I am a pessimist. I would try this. The trough wouldn't have to be perfect. A rough approximation of the diameter you need would be enough. I'm assuming if he had a 3/4" ball mill AND a router suitable to spin it he wouldn't be asking us for suggestions. Exactly. So how would you drill first then cut it? Did you bump yer head? OP, please dont use a router. If the alu sticks to the cutter things are going to get interesting really quick. I personally would use wood as mentioned early; less risk to damage on the barrel. The one I bought from Wheeler uses wood and does the job just fine although I'm not sure what kind it uses. Should have asked before you fucked up and bought the wrong stock. Drill, split, finish split surfaces is the proper way. I fix things that fly, so they can kill other things that need to die. So you can sleep safely at night, while my friends and I carry on the fight. 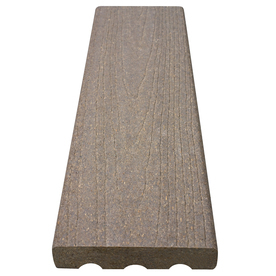 Why not use a couple pieces of composite decking, it seems it may be more resistant to cracking. I made a set of barrel blocks years ago doing exactly what the OP suggested. I cut 2 pieces of 1/2" aluminum bar stock, clamped them together, clamped them in my drill press vice and drilled through the seam. It worked fine. I wrap the barrel with a thin piece of leather to avoid aluminum scuffs on the phosphate finish. I made one from some scrap wood I had in the garage. It was going to be a one time use thing, but it worked out well enough that I still have it. I wrapped my barrel in one of those rubber disks that are used to open jars. I'd think your best bet would be to cut the your block in half after you drill. If that's not possible, bolt it together when you drill as previously suggested. Did it follow the seam fairly well? I like the idea of using a small strip of leather or rubber to protect the finish, but this will likely require me to drill the hole slightly oversized...have to check and see what sizes I have just over 3/4". I didn't get a chance to try it out last night, should get to it tomorrow. I have enough stock that I can try a few different methods, kind of interested in seeing how it works out. Either way, it should show me how difficult/easy it is to work with aluminum in this fashion...although, it does sort of motivate me to get a milling machine. Regardless, I should have enough tooling in the shop to make this work one way or the other. If you mark center with a cold chisel and drill your pilot I don't think it would walk too bad. It ain't a watch. When you feel like you're about to pout, dump em out! Ghandi's dandy, but liquor's quicker! You have to climb cut al but it's fine. Put a thin piece of a softer material between the halves before you drill it. The pilot drill will follow a straight path better which means your 3/4" hole will follow better as well. Sneak up on it, start with a 1/8", go to a 1/4", 3/8", 1/2", 5/8" and then finish up with your 3/4". When you are taking less of a cut the drill will not want to grab as much. Here is where the wicked genius is by using the thin piece between the halves: when you are finished and you remove the thin piece the hole you bored will be slightly less than a perfect circle. You will get much better clamping pressure.